"People everywhere, a sense of expectation, hanging in the air!" This may be ABBA's most controversial album. No doubt, this is due to the high octane Euro- disco content found in many of the songs on this album. Some people wondered if ABBA were just following a trend rather then setting one. One tends to forget that ABBA was just one of many established artists turning part time to disco and that many of the resulting songs were actually fairly good. (ex. Rolling Stones,Rod Stewart, Paul McCartney...). Like some of those acts -ABBA only injected disco influences into some of their music, and rarely did pure disco tracks. The jump from THE ALBUM to VOULEZ -VOUS is a particularly jarring one. The two albums seem to have little in common. In a sense, one album is poetry, the other is motion! It's hard to find people who love both of these albums, they appeal to different kinds of people. Yet, both albums are ABBA, both have flaws and strengths. It was probably a reasonable idea ,in retrospect, for the group that did "Dancing Queen" to try their hand at more dance music. Certainly ,recording dance music was a sound idea commercially and commercial pop music was what ABBA was about. Five songs from VOULEZ-VOUS were hits, (only the 1975 ABBA album had more), so it's clear that ABBA were still in sync with the music scene at this point. It was not totally clear that ABBA had it in them to make a good dance album, after all, they were some of the whitest yes, the whitest people in the music business. But an act that could make you believe they were Spanish (on "Fernando") was probably capable of anything. To try to make a more legitimate dance track, they recorded the instrumental backing for Voulez-Vous' title track in Miami at the famous disco studios-Criteria using some of their house musicians . The title track is certainly ABBA's most unabashed disco track. This was the only time that a ABBA studio recording was made outside of Sweden. The rest of the tracks on the album were recorded in Stockholm ,mostly at their new Polar Studios. The other disco" songs on this album are "If It Wasn't For The Nights""As A Good As New","The King has lost his Crown" and "Lovers Live a Little Longer'. Three other songs have some disco elements but are not really disco. "Does Your Mother Know ""Kisses of Fire" and "Angeleyes". VOULEZ VOUS has two ballads, one on each side, one great song ("Chiquitita" ,one not so great-"I have A Dream". VOULEZ-VOUS was the first album with songs written entirely by Andersson-Ulvaeus. All of B&B's previous albums had included help on the lyrics of some songs by Stig Anderson. But by,1979, Stig didn't have time to write lyrics and Bjorn had taken over the onerous task of coming up with words for the songs. The early troublesome sessions for VOULEZ VOUS in 1978 left a whole pile of songs that were left off the album,amongst them were "Lovelight' which was released as the b-side to "Chiquitita" and the 1978 A side "Summer Night City". Five other songs were stuck in the vault for many years until they appeared on the box set -"Dreamworld", "Just a Notion", "Crying Over You" , "Free As A Bumble Bee" and "Hamlet III". Abba also performed two never released songs on their 1979 tour (see GH II below). Vocals-Agnetha Faltskog, Frida Lyngstad ,Guitars-Janne Schaffer, Bass-Rutger Gunnarsson, Drums-Ola Brunkert, Keyboards & Synthesizers-Benny Andersson String Arrangement-Rutger Gunnarsson. Agnetha sings a juicy lead on "As A Good As New" this albums' opener. I find the classical intro jars too heavily with the rest of the song, but the chorus to the song is catchy. " To try to make a more legitimate dance track, ABBA recorded most of the instrumental backing for Voulez-Vous''s title track in Criteria Studios in Miami using some of Criteria's house musicians . The title track is certainly ABBA's most unabashed disco track. This was the only time that a ABBA studio recording was made outside of Sweden. 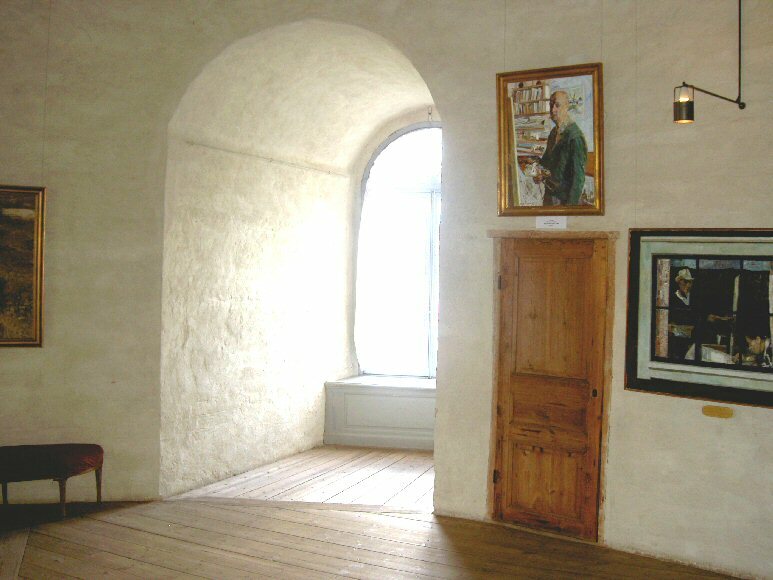 The rest of the tracks on the album were recorded in Stockholm ,mostly at their new Polar Studios. This track seems very forced, very labored , and is not one of their better singles..
Vocals-Agnetha Faltskog, Frida Lyngstad, Bjorn Ulvaeus, Guitars-Janne Schaffer & Bjorn Ulvaeus, Bass-Rutger Gunnarsson, Drums-Ola Brunkert, Keyboards & Synthesizers-Benny Andersson, Choir Vocals-International School of Stockholm Choir. VOULEZ VOUS has two ballads, one on each side, one great song ,one not so great. "The not so great ballad-"I Have a Dream" ,has an annoying children's choir on it, and the unoriginal lyrics seem a little insincere coming from somebody like Björn who has never openly expressed any spiritual beliefs. However , Frida manages to wring some honest emotion out of the song, (especially on the live version) and like "Chiquitita", IHAD has some crisp guitar and piano work. "The King has lost his Crown" is sung by Frida and is a very elegant track with good lyrics. It is a song espeicially suited for Frida's lower vocal register. "Does Your Mother Know ", has Björn singing the main lead vocal for the first and only time on a worldwide ABBA single. The lyric for DYMK is cleverer than it seems. It's not every day you hear a song about a older guy being hit on by a younger girl. but even so, I thought it was a poor choice for the first single from the album in a place like the USA. "If It Wasn't For The Nights" which nevertheless, seems overly repetitive for an ABBA song, though not for a dance number. Yes, as I said before-VOULEZ VOUS has two ballads, one on each side, one great song ,one not so great. The great ballad Chiquitita" does seem a little out of place on this album , but this is clearly one of ABBA's best ballads. "Chiquitita" is powerfully sung, has well executed lyrics, crisp guitar work and uplifting piano work. Listen for the great contrapuntal backing vocals on the chorus and the way the girls prnounce the last Chiquitita. ""Chiquitita" is one of the few ABBA singles that tug a little on your heart. The publishing rights to the song were given in to Music for Unicef (1979 was the International Year of the Child) (SEE review of The Music for Unicef Concert) . "Chiquitita" was the biggest hit of the five songs that were hits from the Voulez Vouz . Another Frida track-"Lovers Live a Little Longer' is probably sunk by a stupid lyric but it has some great rythems,and a virtuoso backing vocal performance by Agnetha (and Frida). I liked "Kisses of Fire" The B-side to DYMK better than DOES OUR MOTHER KNOW" "Kisses of Fire",is also the last song on the VOULEZ VOUS album. "Kisses" has a great intro sung by Aggie and the rest of the song is highly listenable (listen for the part where the girls sing"losing you") but, perhaps ,it lacks the kind of elegance you find on ABBA's classier songs and the cleverness of the sillier numbers. A non-album single that was released to help fill the the year and a half gap between albums. That song . "Summer Night City". was a nod in the disco direction , Björn sings along with the girls on it but B&B and Micke Tretow had trouble getting a good mix of the song together, the mix that finally was released left out a elegant introduction.The more observant may notice the seeming repeated use of an obscenity in SNC's chorus towards the end of the song. Bjorn has denied that he is using a bad word. "Summer Night City' would not be put on a album till GREATEST HITS II came out. It was released as bonus track for the first time on the 1998 remasters. One of the songs rejected for Voulez-Vous that was released as the b-side to "Chiquitita". The original unedited b-side mix is a cult favorite among some fans. Annoyingly, since it's original B-side release usually a shorter verson has been presented on most CD's.. The long awaited deluxe version of Voulez-Vous finally came out on May 31, 2010. Although no totally new tracks are included,the version of "Dreamworld" included on this release is the full version without fade-in, as a master tape containing the full version was recently discovered. The most obvious omissions are the Spanish versions of "I Have a Dream" and "Chiquitita". Not surprisingly, None of 1978/1979 rarities found on "ABBA undeleted" are included here. So that means no full versions of "Just A Notion", "Rubber Ball Man" etc. The Voulez-Vous Deluxe Edition expands the original album with five Voulez-Vous era bonus tracks, as well as a DVD featuring television performances and interviews related to Voulez-Vous. As with the previous deluxe editions, the DVD is more interesting than the CD. 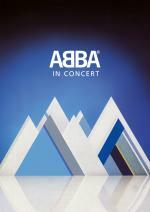 The key feature on the DVD is the debut of the entire ABBA in Switzerland TV special. It's not paticularly well remastered, but it is nice to have. This reissue is about a year late, but Universal wanted to give priority to the totally new ABBA in Japan DVD. The early sessions for VOULEZ VOUS in 1978 left a large group of at least six songs that ending up being left off the album, amongst them were "Lovelight' which was released as the b-side to "Chiquitita". Five other songs were stuck in the vault for many years until they all appeared on the box set -the loveley folksy-"Hamlet III" the circusy"Dreamworld", "Just a Notion", and two Bjorn vocals- "Crying Over You" , and "Free As A Bumble Bee" . Also a few songs were worked on in the summer of 1979 after the album was released (see below) . Includes liner notes by Carl Magnus Palm and three bonus tracks(two of the three bonus tracks were hit singles). Gimme! Gimme! Gimme! is now here rather than on the Super Trouper remaster. The titles are recentered on the cover. The addition of "Gimme Gimme Gimme" and "Summer Night City" means that there are now seven hits found on this album. one song ,"I Wonder" from THE ALBUM , seems totally out of place here since it was not a hit anywhere. Two songs that were hits from the VOULEZ-VOUS album -"I have A dream and "VouleZ-Vous" were not to be found on Greatest Hits Volume 2, probably because " the " Voulez-Vous" album was released only about five months before Greatest Hits 2 and was so they wanted to encourage people to still buy the Voulez-Vous album. "Summer Night City" a non album single originally released in Fall 1978 made it's first appearence on a album here. "SNC' was originally going to be on "Voulez-Vouz' but was left off cos it took nearly nine months for Voulez-Vous to come out. One totally new song was slated to be recorded for GHII and so ABBA went back into the studio in Summer of 1979 to record "Gimme Gimme Gimme" . "Gimme X3" like "As good As New" has a pseudo classical intro. 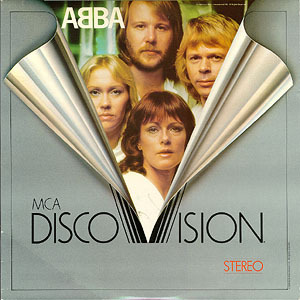 The result is one of ABBA's best disco (or pseudo-disco) numbers . The video for the "Gimme X3" was actually filmed in the Polar Recording Studios. Some other tracks were recorded during the summer of '79 but not released officially. " Under My Sun" was worked on during rehearsels for the 1979 tour .Like many of their unreleased songs Under My SUN has an infectious memorable melody but is lyrically awkward because the lyrics were unfinished ., By the time it had been properly recorded it had become "Rubber Ball Man". which is found on ABBA's box set in a short version. The melody to "Rubber Ball Man "seems so very famiiar. "Lady Bird" and "And the Wind Cries Mary" were two unfinished tracks that never have seen release. Concerts on ABBA's 1979 /80 live tour were recorded and filmed for a possible live album.At least two unreleased songs emerged from the tour recordings. Benny's instrumental showcase "Gammal Fabodpsalm" was used as an introduction to the concerts. It proceeded the song "Voulez-Vous".This piece's full title is" Gammal Fabodpsalm Fran Dalarna (Old Pastoral Hymn)",it was written by Oskar Lindberg ,a 20th century composer . It's actually not a very interesting tune. The other live rarity Agnetha's live solo showcase,"I'm Still Alive ", which was actually co-written by her and was sung solo by her at the piano in concert. 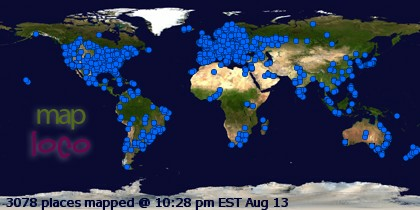 (see live section). A shame really that it has never seen release, mainly because there is no studio version of the song. As of 2010, there does not appear to be any plan to reissue this album again on CD. ABBA gave the song publishing rights for "Chiquitita "to Unicef (the UN children's agency) . This album was drawn from a special concert given at the UN General Assembly . It was held at the UN building in New York in January 1979. Other artists to perform included the Bee Gees John Denver, Rod Stewart, Donna Summer, Andy Gibb, Olivia Newton-John, Kris Kristoffersson & Rita Coolidge. Elton John was going to perform but was a no show. The BEE GEES were the chief promoters of the concert along with David Frost and Robert Stigwood . Supposedly it was going to happen every year ,but only a few other songs were given to MUSIC FOR UNICEF. ABBA lip synched "Chiquitita" for the show, which was certainly a less than gutsy approach but because it was totally new song it was less noticeable. ABBA's "He is Your Brother "was performed by the whole ensamble of acts-but sadly this short bit was not included on the record. this point in America even though the concert originated in New York and was shown live on American NBC-TV primetime. The American single of "Chiquitita" wasn't released till nine months later. It was one of those many missteps in the American markert that ABBA and their then label-Atlantic made. audience. The album was not a big seller and was never released on CD, but "Chiquitita" has raised over one milllion dollars for Unicef, just from the publishing royalites. The album also includes various intros by Gilda Radner, Harry Winkler,David Frost etc. Details on ABBA musicians credits sourced from original CD/album liner notes or from THE COMPLETE RECORDING SESSIONS by Carl Magnus Palm.